The Apple iPad launches in the UK this week and US bookselling giant Barnes and Noble has announced its new e-reader app for the device. The question being – is it better than Apple's own iBooks app? "BN eReader for iPad users can customize the way they read with professionally designed or completely personalized themes, shop more than one million eBooks, newspapers and magazines in the Barnes & Noble eBookstore, and access their personal Barnes & Noble digital library, including most periodicals," reads the press release. Barnes and Noble also has its own e-book device called the Nook, but the retailer is clearly hoping to expand its digital reading business beyond its own e-reader. Perhaps most interestingly, Barnes & Noble's new iPad app supports LendMe for certain titles, so you can loan out favourite titles to your friends. The reading experience itself is fully customisable and you can change the look and size of the page, text, line spacing and more, with a range of preset themes such as "The Printed Page" and an inverted setting called "Night Light." "We've designed the most easy-to-use, highly customizable eReading experience for the iPad. 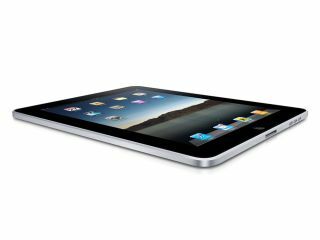 Ours is the only app that enables iPad users to share eBooks with friends, shop Barnes & Noble's vast catalog of eBooks and periodicals and access your personal Barnes & Noble digital library across multiple devices.," said Douglas Gottlieb, Vice President, Digital Products of Barnes & Noble.com. "We believe our customers will appreciate the book-centric touches we've incorporated into our iPad app experience – including some extra large text sizes, ample margins, and line lengths and spacing inspired by classic book design conventions – along with the opportunity to fully personalize that experience to enjoy reading books whichever ways they like best."